Self-serving...Those are the only words I can come up with to accurately describe this bio of former Supreme, Florence Ballard. 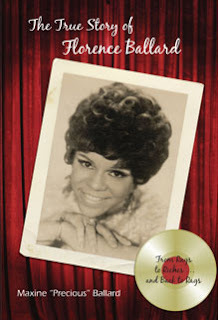 Written by her sister, Maxine "Precious" Ballard, who by the way is selling this 147-page bio for $ 49.95, is nothing more than a recap of what you already know about Florence and her tumultuous time with the Supremes and her life after. While one-third of the book is about Florence, the rest is entirely about Maxine, her desire to be a singer (even though early in the book she says she wasn't interested in singing, just dancing), and pictures of Maxine and her relatives. I'm guessing that "Precious" didn't do research on pricing, otherwise she would have known that no one is going to pay $ 49.95 for a small, double spaced, large font, poorly written book. Or perhaps she thought that the love of the fans would be enough to get them to pay for anything about Florence. She's wrong.